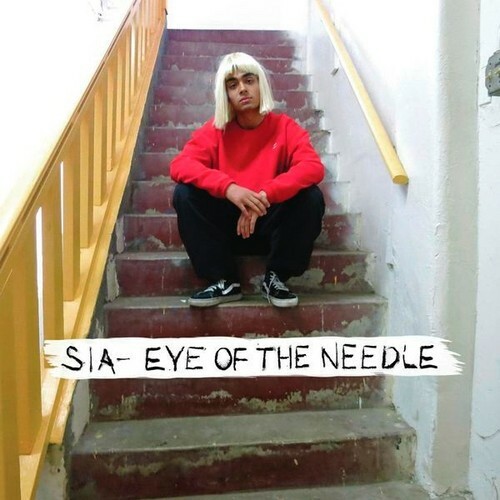 "Eye of the needle" Single cover. From 1000 forms of fear. Wallpaper and background images in the Sia club tagged: photo single cover 2014. This Sia photo might contain salon, séjour, chambre à l'avant, salle, salle de devant, salle de dessin, signe, affiche, texte, tableau noir, tableau, and affiches.